Notice where David’s delight comes from. Of all the things this world has to offer, of all the things that say they will provide “delight,” David tells us what provides us delight, and that is God’s word. 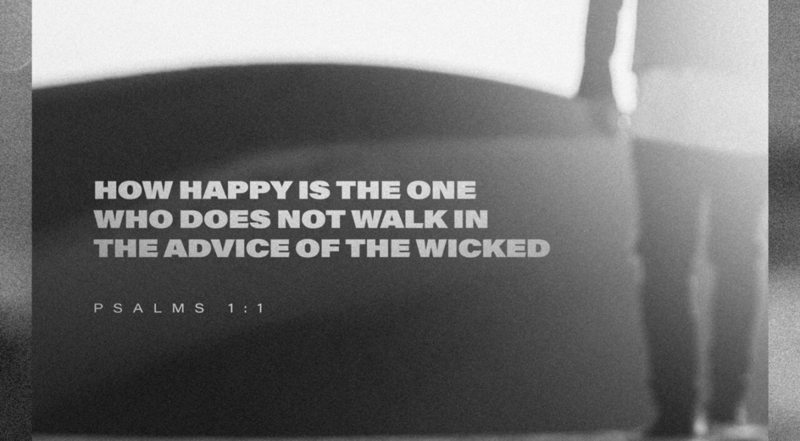 He doesn’t follow the wicked’s advice, the sinner’s pathway, or the company of mockers; instead he searches out the way God would have him go. And one way he applies that is by memorizing Scripture. Meditating is just having those verses readily available in our minds, so we can recall them when we want to. It’s also what the Holy Spirit will speak to us during the day, or in times of trouble or temptation. What are some things you think about throughout the day? Pray and ask God to help you follow and find delight in His word.